Amidst the rapidly unfolding story happening in and around Trading Technologies, Autospreader, a tool invented by TT over a decade ago for executing the industry’s defining trading algorithm, has been quietly going through a major overhaul. Regardless of the products being traded or the strategy being deployed, execution speed is critical to successfully trading synthetic spreads. With this in mind, we took all of our accumulated knowledge and expertise and rebuilt Autospreader from scratch, leveraging best-in-class colocation facilities; a streamlined, consolidated, modular code base; cutting-edge networking technologies and real-time performance monitoring. The result is a synthetic spreading engine that is twice as fast as anything we’ve ever released—with the flexibility to execute in ways never possible before. When we say things like “modular code base” and “flexible architecture,” we’re not just throwing out buzzwords. We’ve built Autospreader to allow the user to override the default spreading logic at critical decision points. In the past, service providers like Trading Technologies would deliver tools with a list of features. Users could mix, match and tweak how they use those features, but they were always confined to the capabilities built into the product. 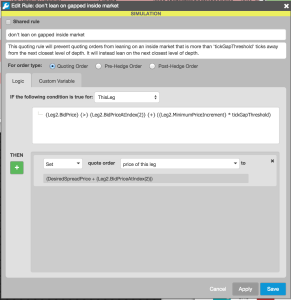 The introduction of Autospreader Rules in the new TT platform gives users the ability to build their own custom Autospreader features. The days of take it or leave it software development are gone. More than ever, we at Trading Technologies want to empower our users to engage with us in a partnership to help us deliver the tools they need to run their businesses. We recognize that we can’t always give every trader exactly what they want all the time. By making Autospreader customizable, we’re not trying to create more work for our customers—in fact Autospreader will come with a longer list of features than ever before. Rather, we’re trying to give users the ability to easily take control if they want to do so. In the context of Autospreader Rules, users can engage with Autospreader in a new way. 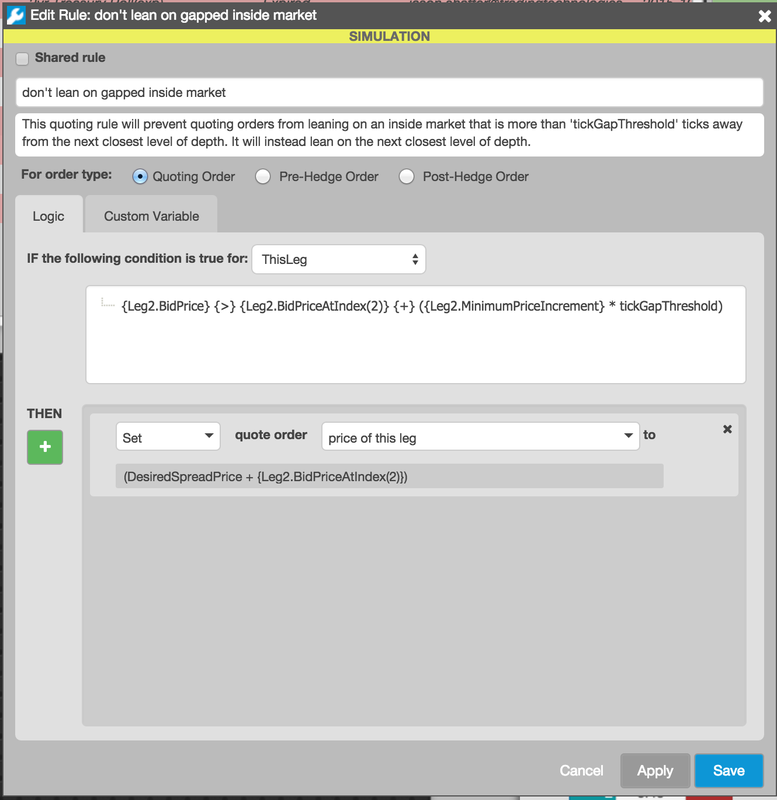 While we still support pre- and post-hedge rules, as we always have, now users can also use, modify and create custom quoting rules as well. Let me lay out one example of a quote rule, not only to show the power of the rule itself, but also to demonstrate the new-found flexibility that users have to tweak and modify Autospreader at the macro level. 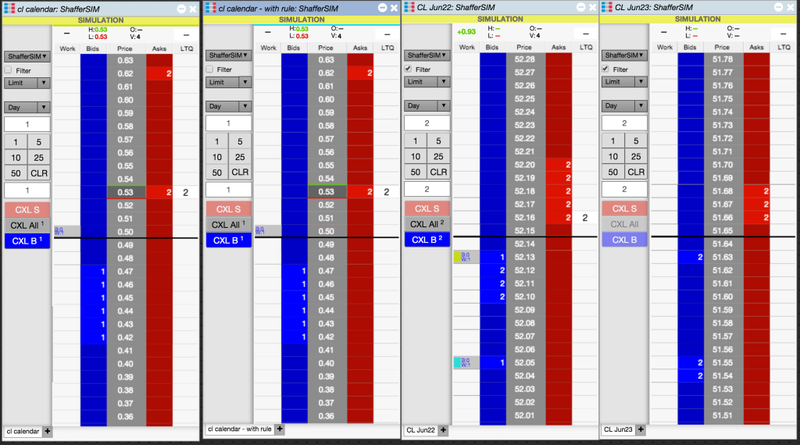 If I have a strategy that is trading one or more thin markets as legs, Autospreader can be a very powerful tool. But each market is different, and each trader’s approach to those markets will be different. It is likely that traders will have very specific, nuanced preferences for how their spread engine should approach thin, fast-moving markets. To illustrate this, let me give you one example where I, in my trading days, always wanted to tweak Autospreader. If I was leaning on a thin market, and the best bid or offer was far away from the second level of depth, I wanted to at least be very cautious leaning on that first level of depth if not completely ignoring it. In the past, if I wanted to tweak the spreading logic to ignore the first level of depth in this scenario, I would have had to build my own spread engine from scratch. The result is that I get 99% of Autospreader, with all the features, power and integration with the TT platform along with the ability to customize Autospreader at a very detailed level. While this kind of customization won’t be needed or interesting to all of our customers, I think many spread traders will find it incredibly beneficial to their trading strategies and tactics. I could go on and on about the new features (for example, we support 50 legs in a spread, synthetic instruments are available anywhere you log in, you now have access to historical charts and algos can drive spreads in different data centers), but I’ll leave the details for future conversations. If spreading is a part of your business, I am confident that we have a unique offering. We know your job is hard, and you shouldn’t have to worry about overcoming deficiencies with the tools you use. To that end, we’re here to help and eager to start a conversation.